BREATHWORK TECNIQUES. BENEFIT YOUR MIND, BODY AND SPIRIT. - Retiros de yoga, meditación y naturaleza. BREATHWORK TECNIQUES. BENEFIT YOUR MIND, BODY AND SPIRIT. If you’ve ever been to a yoga class, you’ve heard an instructor remind you to control your breath. In the ancient yogic teachings, the practice of directing the breath is called Pranayama, and it teaches you to breathe consciously, with awareness, and with intent. Within the teachings, there exists many different exercises that can help you tap into your breath as a means of building self-awareness and focus during meditation or yoga. Today, breathwork has evolved to include many new techniques that focus on the use of breathing exercises as a means of therapy and self-healing. Breathwork is more than an exercise of breathing correctly or with intent. These breathing techniques are tools for major transformation and healing. Breathwork encompasses a broad range of whole-being therapeutic practices and exercises used to relieve mental, physical, and/or emotional tension. Breathwork increases the oxygen supply in our system which activates more brain power, increases energy levels, and expands our awareness and concentration. Breathwork also facilitates a powerful detoxification process as 70% of our toxins are released through our breath! If we are not breathing at full capacity it is safe to say that we are not functioning at full capacity. Read more. When you think of breathwork, you probably think of the physical aspect of breathing—the inhaling and exhaling of air. Breathing is a vital part of life; it helps deliver oxygen into your bloodstream and remove carbon dioxide. Completing a full breath cycle involves your whole body—your chest, belly, back, and mind. It takes effort to coordinate all elements of the breath, even though the simple process seems effortless. The physical benefits of deep breathing are often immediate. By breathing deeply, you can activate your parasympathetic nervous system, and in turn slow down your heart rate and lower your blood pressure—creating a feeling of calm. You also rely on your diaphragm instead of your chest, inviting your neck and chest muscles to relax and engage your abs and a larger amount of oxygen to reach your body’s cells and organs. When your body is operating under “fight-or-flight” response, or stress, it releases a surge of hormones (such as cortisol and adrenaline) that causes your breathing to speed up, increases your pulse and blood pressure, and puts you in a state of hypervigilance. Deep breathing can help reverse this response and relax your body. 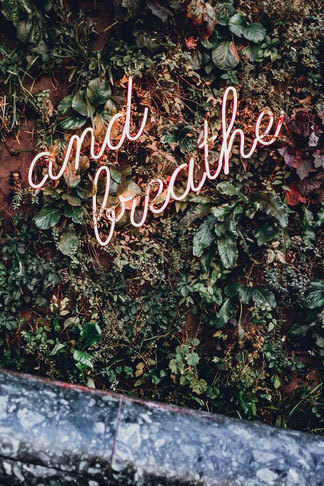 In addition to reversing the physical stress response in your body, deep breathing can also help calm and slow down the emotional turbulence in your mind. In fact, there are studies that show breathwork can help treat depression, anxiety, and PTSD. Breathwork can help you reach a deeper state of mind. While in this state, you may be able to access buried emotions, grudges, and traumas, and ultimately release yourself from their grip on your mental state. 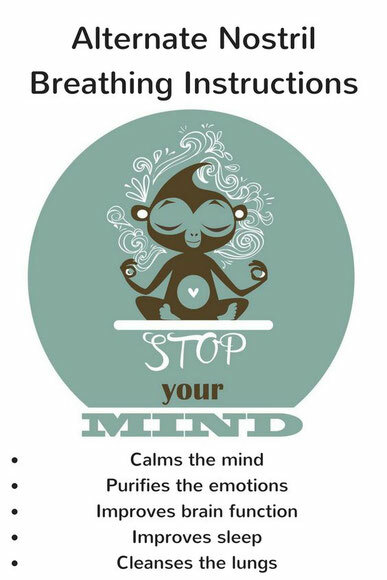 Breathwork is often used to help those who have mental health issues and is seen as a way to calm and focus your mind. Breathwork can also be spiritual. When you practice, you can move beyond your body and mind, and connect with your core spirit—your Self. In other words, you can remove your ego and connect to your true Self and the Universe. Many people who practice breathwork experience spiritual awakenings or attunements to their inner being.